This collection is dedicated to youth incarcerated in Colorado and other states in America. 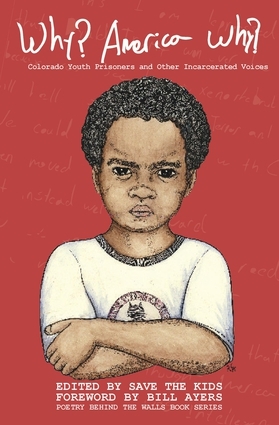 This book provides space and place for the voices of youth who are incarcerated to critically express their experiences related to the criminal justice system, school system, and their community. Grounded in hip-hop culture, the writing style throughout the series often reflects non-colonial English. The collection promotes social justice and critical thinking about education, poverty, sexism, racism, ageism, ableism, homophobia, and all other forms of oppression. As a creative outlet and space for expression, this book provides a means for the poets to empower themselves and resist victimization. Save the Kids is a fully volunteer grassroots organization rooted in hip-hop and transformative justice. It advocates for alternatives to, and the end of, the incarceration of all youth. It is based in Saint Paul, Minnesota. Bill Ayers is the founder the Small Schools Workshop and the Center for Youth and Society and he has taught courses in interpretive and qualitative research, oral history, creative non-fiction, urban school change, and teaching and the modern predicament. He is the author of Demand the Impossible, Fugitive Days, and Public Enemy. He lives in Chicago.